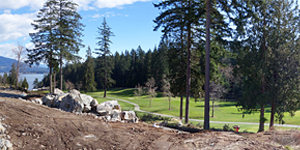 Lot 1 (899 Russell Lane) is located above the ninth fairway of the Bowen Island public golf course. This 0.199-hectares (0.49-acre) building lot has plenty of room to build a main building and an outbuilding. Sunny, south-facing property with views overlooking the golf course. Available as a vacant building lot for $495,000 + GST. Community water and sewer and underground hydro/tel/cable available at the lot line. Note: Prices and descriptions of real estate on this website are subject to change without prior notice. E&OE. Sun. Ocean views. Golf course living. Bowen’s newest development in Seymour Landing at Cowan Point. 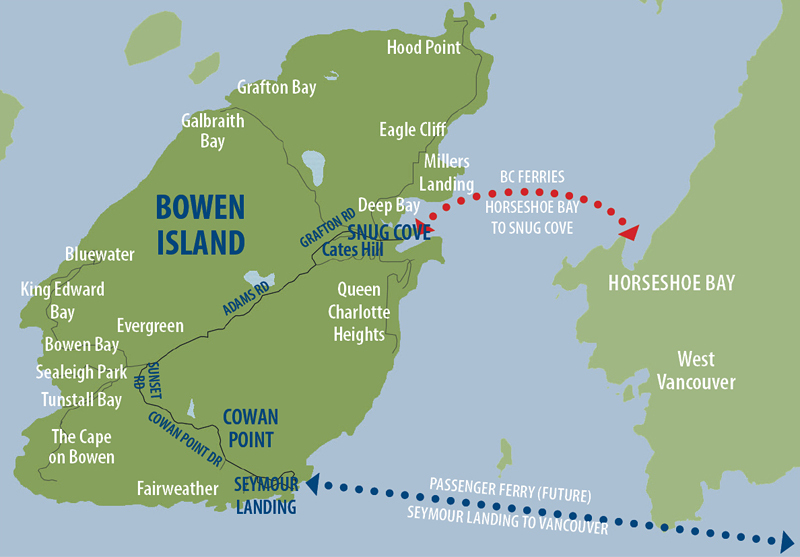 RUSSELL LANE is located above the 9th fairway of Bowen Island’s public nine-hole golf course, and has access to an extensive trail network that meanders around the golf course, throughout Cowan Point and down to Seymour Landing and Seymour Bay. 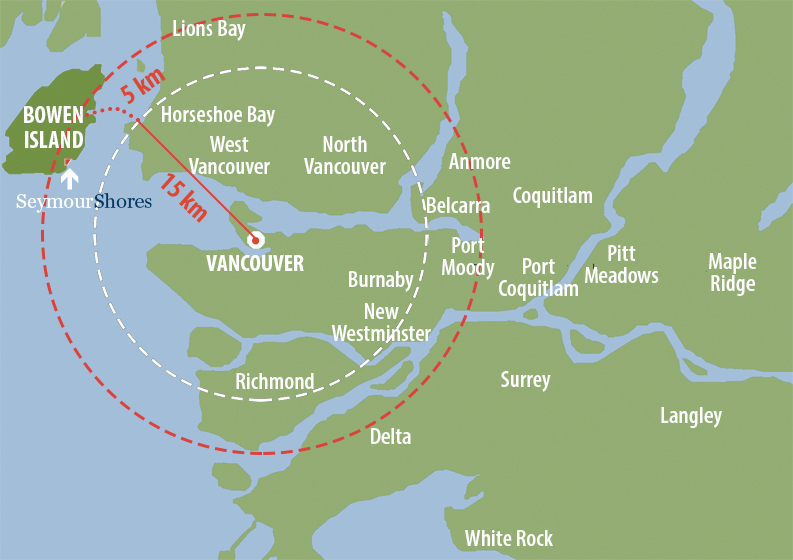 It is close to the home of the future Inn/Guest House and passenger ferry to downtown Vancouver. 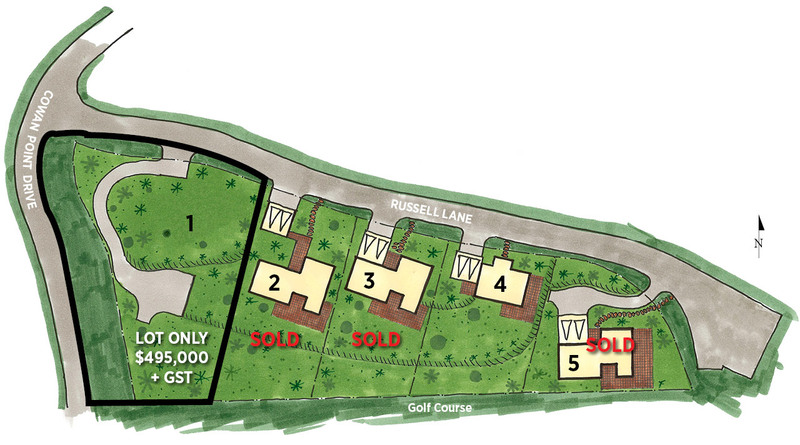 For more information about the development of Seymour Landing at Cowan Point, click here. Enjoy the golf course as your “back yard”.